Individual differences in how people experience and engage in laughter and ridicule can be described by three personality dispositions: gelotophobia (fear of being laughed at), gelotophilia (joy in being laughed at), and katagelasticism (joy in laughing at others). We study the correlates of how people deal with ridicule and being laughed at with the Impostor Phenomenon (IP; individual differences in the failure to internalize success and feelings of intellectual fraud). We tested our hypotheses in two independently collected samples of students and working professionals (N = 315/229; M = 22.7/37.1 years; 54.9/59.4% females). In line with previous studies, the IP was more pronounced in the students (g = 0.45). As expected, the fear of being laughed at best predicted the IP robustly positively (26–31% explained variance), and only numerically small effects (≤ 3% explained variance) existed for joy in being laughed at and laughing at others. Associations between the laughter-related dispositions and the IP did not differ between students and professionals. We discuss the findings with respect to expectations derived from theory, potential mediators, and future research directions. The online version of this article ( https://doi.org/10.1007/s12144-019-00262-5) contains supplementary material, which is available to authorized users. Brauer, K., & Proyer, R. T. (2017). Are Impostors playful? Testing the association between adult playfulness and the Impostor Phenomenon. Personality and Individual Differences, 116, 57–62. https://doi.org/10.1016/j.paid.2017.04.029. Brauer, K., & Wolf, A. (2016). Validation of the German-language Clance Impostor Phenomenon Scale. Personality and Individual Differences, 102, 153–158. https://doi.org/10.1016/j.paid.2016.06.071. Curran, W., McKeown, G. J., Rychlowska, M., André, E., Wagner, J., & Lingenfelser, F. (2018). Social context disambiguates the interpretation of laughter. Frontiers in Psychology, 9. https://doi.org/10.3389/fpsyg.2017.02342. Dursun, P., Dalğar, I., Brauer, K., Yerlikaya, E., & Proyer, R. T. (2019). Assessing dispositions towards ridicule and being laughed at: Development and initial validation of the Turkish PhoPhiKat-45. Current Psychology. https://doi.org/10.1007/s12144-017-9725-2. Hofmann, J., Ruch, W., Proyer, R. T., Platt, T., & Gander, F. (2017). Assessing dispositions toward ridicule and laughter in the workplace: Adapting and validating the PhoPhiKat-9 questionnaire. Frontiers in Psychology, 8. https://doi.org/10.3389/fpsyg.2017.00714. Holmes, J. (2000). Politeness, power, and provocation: How humour functions in the workplace. Discourse Studies, 2, 159–185. https://doi.org/10.1177/1461445600002002002. Lynch, O. (2010). Cooking with humor: In-group humor as social organization. Humor: International Journal of Humor Research, 23, 127–159. https://doi.org/10.1515/humr.2010.007. Neureiter, M., & Traut-Mattausch, E. (2016). An inner barrier to career development: Pre- conditions of the impostor phenomenon and consequences for career development. Frontiers in Psychology, 7. https://doi.org/10.3389/fpsyg.2016.00048. Proyer, R. T., & Ruch, W. (2009). How virtuous are gelotophobes? Self- and peer-reported character strengths among those who fear of being laughed at. Humor: International Journal of Humor Research, 22, 145–163. https://doi.org/10.1515/HUMR.2009.007. Proyer, R. T., Hempelmann, C. F., & Ruch, W. (2009a). Were they really laughed at? That much? Gelotophobes and their history of perceived derisibility. Humor: International Journal of Humor Research, 22, 213–231. https://doi.org/10.1515/HUMR.2009.010. Proyer, R. T., Ruch, W., Ali, N. S., Al-Olimat, H. S., Amemiya, T., Adal, T. A., et al. (2009b). Breaking ground in cross-cultural research on the fear of being laughed at (gelotophobia): A multi-national study involving 73 countries. Humor: International Journal of Humor Research, 22, 253–279. https://doi.org/10.1515/HUMR.2009.012. Proyer, R. T., Ruch, W., & Chan, G. H. (2012b). Gelotophobia: Life satisfaction and happiness across cultures. Humor: International Journal of Humor Research, 25, 23–40. https://doi.org/10.1515/humor-2012-0002. Renner, K.-H., & Manthey, L. (2018). Relations of dispositions toward ridicule and histrionic self-presentation with quantitative and qualitative humor creation abilities. Frontiers in Psychology, 9. https://doi.org/10.3389/fpsyg.2018.00078. Ruch, W., & Proyer, R. T. (2009b). Intelligence and gelotophobia: The relations of self-estimated and psychometrically measured intelligence to the fear of being laughed at. Humor: International Journal of Humor Research, 22, 165–181. https://doi.org/10.1515/HUMR.2009.008. Ruch, W., Altfreder, O., & Proyer, R. T. (2009a). How do gelotophobes interpret laughter in ambiguous situations? An experimental validation of the concept. Humor: International Journal of Humor Research, 22, 63–89. https://doi.org/10.1515/HUMR.2009.004. Ruch, W., Beermann, U., & Proyer, R. T. (2009b). Investigating the humor of gelotophobes: Does feeling ridiculous equal being humorless? Humor: International Journal of Humor Research, 22, 111–143. https://doi.org/10.1515/HUMR.2009.006. Ruch, W., Platt, T., Hofmann, J., Niewiadomski, R., Urbain, J., Mancini, M., & Dupont, S. (2014b). Gelotophobia and the challenges of implementing laughter into virtual agents’ interactions. Frontiers in Human Neuroscience, 8. https://doi.org/10.3389/fnhum.2014.00928. Ruch, W., Platt, T., Bruntsch, R., & Ďurka, R. (2017). Evaluation of a picture-based test for the assessment of gelotophobia. 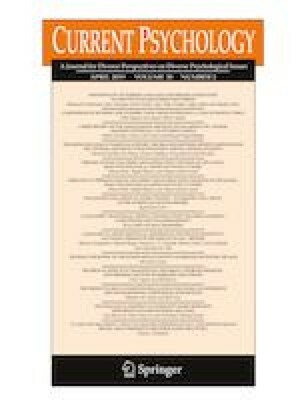 Frontiers in Psychology, 8. https://doi.org/10.3389/fpsyg.2017.02043. Ruch, W., Heintz, S., Platt, T., Wagner, L., & Proyer, R. T. (2018). Broadening humor: Comic styles differentially tap into temperament, character, and ability. Frontiers in Psychology, 9. https://doi.org/10.3389/fpsyg.2018.00006. Schubert, N., & Bowker, A. (2019). Examining the impostor phenomenon in relation to self-esteem level and self-esteem instability. Current Psychology. https://doi.org/10.1007/s12144-017-9650-4. Torres-Marín, J., Carretero-Dios, H., Acosta, A., & Lupiáñez, J. (2017). Eye contact and fear of being laughed at in a gaze discrimination task. Frontiers in Psychology, 8. https://doi.org/10.3389/fpsyg.2017.01954.